JCHS Drama is thrilled to be returning to the prestigious international Edinburgh Fringe Festival in August, 2017 through the American High School Theatre Festival. More than 2,000 high school drama programs are nominated each year to participate in the AHSTF. JCHS was chosen as one of only around fifty. 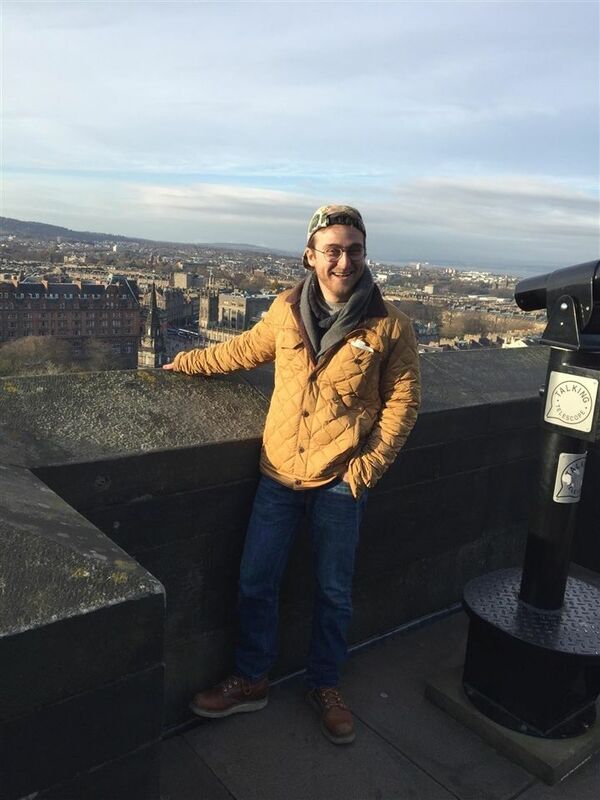 Jake Rosenberg ’14, who was a member of the JCHS Drama company that went to Scotland in 2011, offers his thoughts and advice for the new Scotland Company. Congratulations. You’ve made it. You’re back in the big leagues and ready to take the UK, soon to be our last ally, by storm. A congratulations is in order. You’ve done an excellent job. You’ve worked hard on your auditions and sweated every syllable in order to impress the director. For some of you, it might even have been your first time. Now that you’re on the other end, how does it feel? When I went to Scotland with my friends and school in 2011, I remember the thing we wanted most was information. “What would the play be? What would the UK look like? Will the script ever be finished?” As a gift, I’d like to present you with some of the information I didn’t have at the time, but possess now. Allow me to tell you what your future holds. To begin with, you’re going to forget that you don’t have much acting experience. Instead, you’re going to fill the vacant holes in your track record with new collaboration, text analysis and narrative skills. You’re going to learn how to plan your own travel. You’re going to learn mutual empathy, applied theatre, meta-theatre and critical thinking. You’re going to dissolve into a puddle of your own insecurities. You’re going to gain buckets of confidence. You’re going to have savage, furious and unpredictable ups and downs. You will probably work harder for this than anything else in your life so far. Your faith in the almighty will be renewed as you pray and bargain to a higher power backstage for your cast-mates to learn their lines. You will know a new meaning of the word “stress” and a new meaning of the word “group,” and you will connect with your company in such a way as to be comparable only to 18th century traveling mummers or soldiers crouching in foxholes in Flanders’ fields. Jake Rosenberg with Philip Kenner, whose high school also participated in the AHSTF. The friends met at the 2011 Fringe festival and now both attend NYU and are studying playwrighting in London. “We were commenting the whole trip how the Fringe really did decide the direction of our lives and we had no idea at the time,” says Jake. You will fight. Lord knows you’ll fight, but you’ll come out swinging. High School Drama drama can be counted among some of the worst war zones on the planet. You will be forced to sit in a circle and talk about your feelings as well, and there will be nothing you can do to avoid it. But through this, you’ll achieve something larger than just yourself, and representative not just of your work, but your entire community. You will have to create a character for yourself to perform for real people in another part of the world. You will stumble. You will fall. You’ll board planes and trains and buses. You will busk on the Royal Mile, drink Irn Bru on High Street, stamp your feet to bagpipes at the military tattoo and see the highland cattle. You’ll make friends from all over North America, some of whom you’ll go to college with, some of whom will go on to greatness, none of whom will forget you or let you forget them. This will be one of the most important events in your life. Witness it. You’re going to do great. Jake Rosenberg is junior at NYU Tisch School of the Arts, currently studying at the Royal Academy of Dramatic Arts in London. His first professionally-produced play, “The Scotland Company,” was inspired by his experiences at the Edinburgh Fringe Festival. Jake has since seen his plays, “Muse of Fire” and “Brothers,” produced in New York at the Manhattan Repertory Theatre.